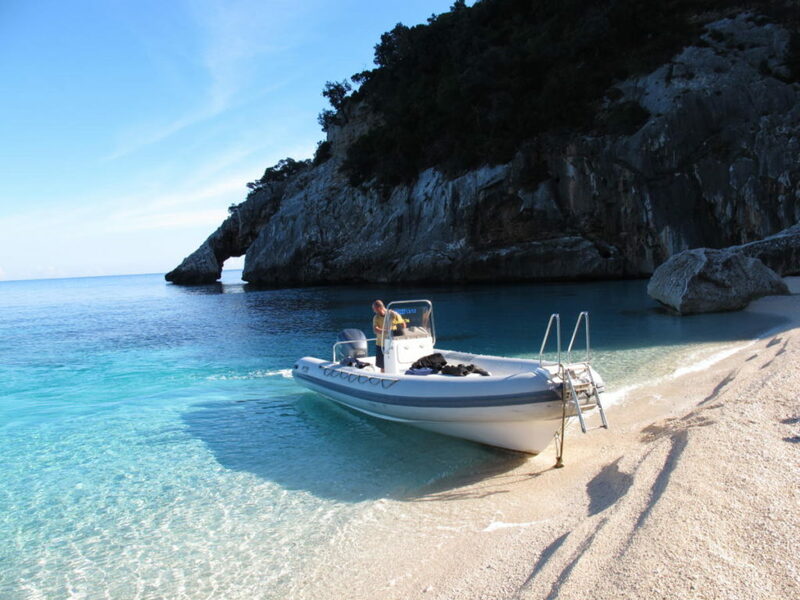 For the people who want to see and visit all of our wonderful shores and cave by trusting an expert skipper the DINGHY EXCURSION WITH SKIPPER is surely the best choice. Dolmen society disposes 8 meters long and 250 HP dinghy, very big and comfortable, approved to carry up to 24 people, but as required by the law, will take place up to 12 people maximum. An expert skipper will guide you throw an entire day of fun and relax on the sea. The minicruise start at 10:30 in the morning. 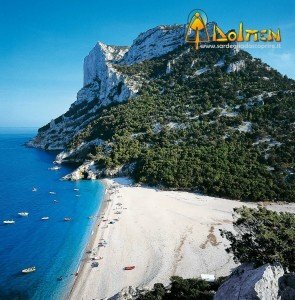 As soon as you left the harbour, you will navigate south to see more than 20 km of coast, cliffs and beaches that follow up until Cala Goloritzè, and all these places can be reached only by boat or by feet. 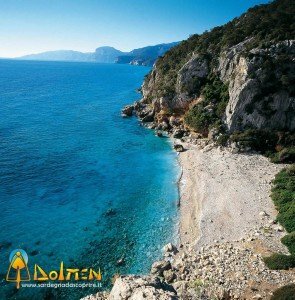 Canyons and caves will be the frame for this extraordinary travel throw this wonderful corner of Sardinia; the high cliffs rich in flora and fauna that reflect onto the turquoise water and the Mediterranean perfumes pushed by gentle breeze will give you a relaxing sensation. 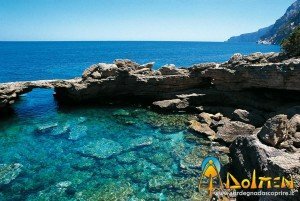 In the itinerary you will be able to see Cala Luna, Cala Sisine, Cala Biriola, Piscine di Venere, Cala Mariolu, Cala Gabbiani, Le Sorgenti, Cala Goloritzè (Italian National Monument) and the Bue Marino cave. Why choose the Excursion with a skipper? A small group of people can easily agree and personalize their tour with the skipper and have the possibility to see all the smallest and hidden corners of the gulf, something that you can’t do by choosing a bigger boat. In case of adverse weather conditions, the skipper reserves the right to modify in part or definitely end the course of the trip to protect the safety of passengers. PRICES: € 35,00 low season – € 60,00 high season per person. Fuel, skipper, taxes, Rc insurance and safety equipment are included in the price.